Dave Smith, the retired Chief Archivist of The Walt Disney Company, has continued his "Ask Dave" column through the D23 website. In recent years, questions have gotten more interesting and difficult for Dave to answer, as the more common answers can now be found online. 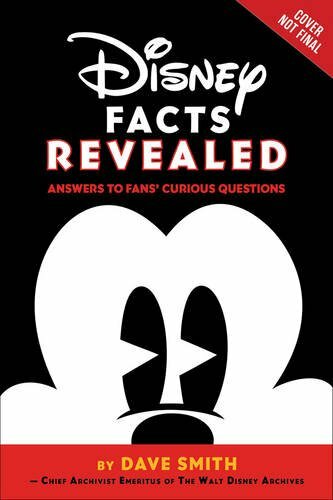 Now with another critical mass of about 1,100 new Disney trivia Q&A, Dave is ready to assemble his second volume, Disney Facts Revealed. Divided into chapters covering a specific aspect of Disney history-including Disneyland, Walt Disney World, Disney films, Disney television, Disney characters, Disney collectibles, and more-many of the questions lead Dave to fascinating information that has not been published elsewhere.